A recurring bone infection landed Robert Peace in the hospital five times after a 2004 car accident fractured a hip. He blames his readmissions on a lack of follow-up care. 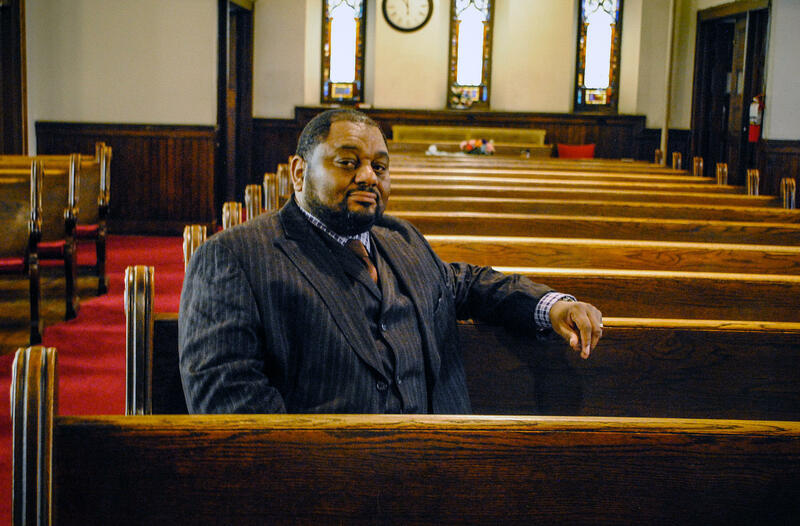 "Younger people have seen or feel like their parents and their grandparents didn't get the best medical treatment when they went to the hospital," says Derrick DeWitt, pastor of First Mount Calvary Baptist Church in Baltimore's Sandtown-Winchester neighborhood. "So they have this why-go attitude." "I change doctors like I change underwear sometimes" to avoid copayments of $12 or $15, said Eddie Reaves, who has diabetes and high blood pressure. A view of the Sandtown-Winchester neighborhood of Baltimore at North Stricker Street near Riggs Avenue. "It's really hard for me to trust what doctors say," Peace said, adding that there was little after-hospital care to try to control the infection. "They didn't do what they were supposed to do." Pushed by once-unthinkable shifts in how they are reimbursed, Baltimore's famous medical institutions say they are trying harder than ever to improve the health of their lower-income neighbors in West Baltimore. Reporters from Kaiser Health News and the University of Maryland's Merrill College of Journalism spent much of the fall in and around Sandtown-Winchester, a Baltimore neighborhood where violence flared last year after Freddie Gray was fatally injured in police custody. "They almost let me die," he said. As with so much else, there are two Baltimores when it comes to health. One population is well off and gets the best results from elite institutions on the city's west and east sides, the University of Maryland Medical Center and the Johns Hopkins Hospital. The other is a poor minority that gets far less even as it uses hospital services at higher-than-average rates. One indicator: The typical Sandtown resident lives a decade less than the average American. "They come in with a great service, but they don't have relationships with people in the community," said Louis Wilson, senior pastor of New Song Community Church in Sandtown, a small wedge of about 5,000 households. "They want the people in the community to come in and respect them, but they don't respect the people in the community. It does not work. It just doesn't." The gap is more than the cultural distance between lower-income African-Americans and the wealthier practitioners, often of other ethnicities, who treat them, although that's a part, Wilson said. It's about insurance that is still unstable, confusing and perceived as expensive despite the health law's recent expansion of Medicaid for low-income patients. It's about a system that still treats too many residents in the most expensive way possible — in crisis visits to the emergency room — rather than keeping people healthy in the community. It's about having too few primary care doctors addressing everyday needs to change that. It's about inadequate transportation to get to appointments and jail stays that cut patients off from family doctors. It's about avoiding medical institutions often seen in the same light as the justice system that held Freddie Gray when he died: as biased, haughty and dangerous. "When you walk into a hospital, it's like walking into a courtroom," said William Honablew Jr., who volunteers at LIGHT Health and Wellness, a nonprofit whose community services include helping those with HIV and other chronic illness navigate the system. "You know who's in charge, and you know who's not." Many in Sandtown have heard of Henrietta Lacks, an African-American woman whose tissue was used without permission by Johns Hopkins Hospital in the 1950s to establish a line of experimental cells. For years Baltimore blacks associated Hopkins, on the city's east side, with the "night doctors" of African-American folklore who supposedly kidnapped black children for medical experiments, residents and community leaders say. But to the frustration of hospital officials who say they deserve better, Bon Secours is still known across West Baltimore as "Bon Se-Killer." "I lost two aunts in that hospital, an uncle and two cousins — five people," said Arnold Watts, 60, in a grim accounting matched, unprompted, by several other residents interviewed. 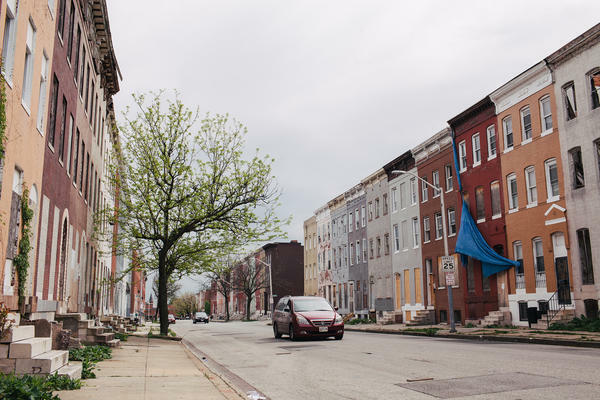 The average Sandtown resident lives to be 69.7 years old, according to the Baltimore City Health Department — the same life expectancy as in impoverished North Korea. Detailed data from the Maryland agency that regulates hospital prices, seldom seen by the public, illustrates why. Residents of the ZIP code including Sandtown accounted for the city's second-highest per-capita rate of diabetes-related hospital cases in 2011, the second-highest rate of psychiatric cases, the sixth-highest rate of heart and circulatory cases and the second-highest rate of injury and poisoning cases. 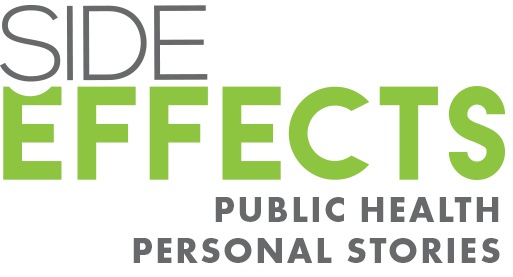 Asthma, HIV infection and drug use are common. In Sandtown, 2 of 10 babies born in 2013 were underweight — the highest percentage in any of Baltimore's 55 neighborhoods. The share of Sandtown mothers getting early prenatal care fell by 25 percentage points in 2013 from the year before. Dr. Jay Perman is a pediatric gastroenterologist who is president of the University of Maryland, Baltimore, which shares its downtown campus with the University of Maryland Medical Center. 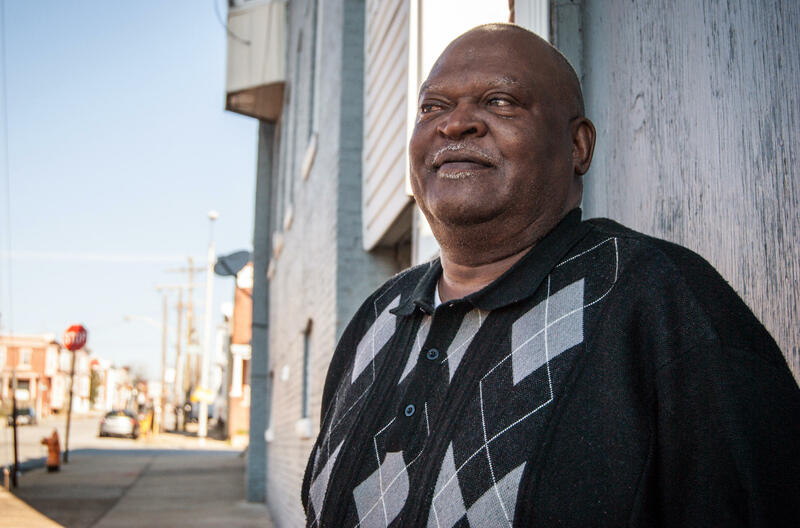 Perman, who says the school has a critical role to play in fighting poverty, looks out of his 14th-floor, paneled office across a boulevard that marks the beginning of Baltimore's poor west side. "Why," he asks, "in the midst of this extraordinary health care enterprise that is present in Baltimore, with all this expertise, are we sitting here on this side of Martin Luther King [Boulevard] and on the west side ... you have some of the most disappointing life expectancies that one could imagine?" Western District police station, where officers removed Gray's unconscious body from a prisoner van and protesters surged a week later, is a block south. "I think I have diabetes," said Johnson. "I know I have high blood pressure. I know that. I get dizzy a lot, especially when I wake up in the morning. I need to see a doctor." But he can't. Baltimore jail authorities lost his identification cards, he said, before releasing him in October from an 11-month stay related to a drug arrest. He spent weeks reapplying for a Motor Vehicle Administration identification card, which social workers said he needed to qualify for Medicaid. "You need ID to get ID, you know?" he joked. Nobody told him he could use incarceration credentials to qualify. But limited administrative resources and a pile of other paperwork for release planning means sign-ups are often limited to the most severely ill, said Lena Hershkovitz, a vice president with HealthCare Access Maryland, a nonprofit working to increase enrollment. "I know for a fact that he's not unusual," she said of Johnson. "I would say the majority of people leaving the prison or detention system are leaving without Medicaid." Communication barriers and "poor customer service" are also barriers to care in West Baltimore, according to a 2012 report by John Snow Inc., a Boston consultant hired by an association of community health centers. William Ferebee, 66, has obstructive lung disease and a stent implanted after a 2001 heart attack. He avoids doctors at a University of Maryland Medical Center clinic because "they don't even really come look at me," he said. Instead, they give orders to a nurse or resident, "and then he comes in and says, 'OK, here's what we're going to do.' "
A doctor at a nearby, independent clinic "is a sweetheart," he said. "But it's so hard to get an appointment." Medical privacy laws allow hospitals and clinics to help law enforcement officials trace suspects and fugitives. Residents subject to outstanding warrants fear they'll be arrested if they seek care. "Some people got a case out there — they're not going to the health clinic," Wilson said. "They're going to die without giving up their information." Even when patients get access, care is disrupted by physician turnover, poor follow-up or insurance companies' changing medical networks. "The system is fragmented," said Debbie Rock, who has run LIGHT Health and Wellness, on Sandtown's western edge, since the 1990s. "I think that people need to go back and talk to each other. I think the doctors and the health insurance companies need to sit down and listen to each other." One homeless West Baltimore patient left an oral surgeon's office with a wired jaw and no way to pay for the liquid nutrition he needed to feed himself, said Carol Marsiglia, senior vice president at the Coordinating Center, a nonprofit consulting organization that is working to reduce readmissions and emergency visits in the neighborhood. A home-oxygen company wouldn't serve a discharged lung patient because he had a $27 balance, she said. A hospital directed two home-health companies to teach a patient how to deal with a new colostomy bag; neither showed up. The Coordinating Center fixed the breakdowns. Poverty makes Sandtown's health worse. Many say poverty causes Sandtown's poor health. "If we walk around this block, we'll pass four liquor stores and three sub shops," said Derrick DeWitt, pastor of First Mount Calvary, on Fulton Avenue. Even small copayments required by many health plans dissuade low-income West Baltimore residents from seeking care, the John Snow report found. Some constantly switch doctors to find the lowest price, leading to "disjointed services" and potential harm if information falls in the cracks, it found. "I change doctors like I change underwear," said Eddie Reaves, 64, who tries to find practices that won't charge him copays as little as $12 or $15. His income is $1,170 a month, he said. In 2014, he added, "I must have seen a good total of about 10 doctors." Reaves has diabetes and high blood pressure. He's on Medicare because of a disability. He has applied twice to Medicaid since the health law expanded coverage two years ago. That would improve his benefits. But he never received the paperwork, he said. The best care he ever received, Reaves said, was when he didn't need an insurance card — when he was homeless. "Didn't have no bills," Reaves said of the clinic when he used it a few years ago. "Your medicine they helped pay for. They did a lot for you. You could get your teeth done and everything. It was just great, man." The rest of the medical system is so unsatisfactory by comparison that low-income Baltimoreans sometimes claim to be homeless when they're not, just to use the clinic, he said. 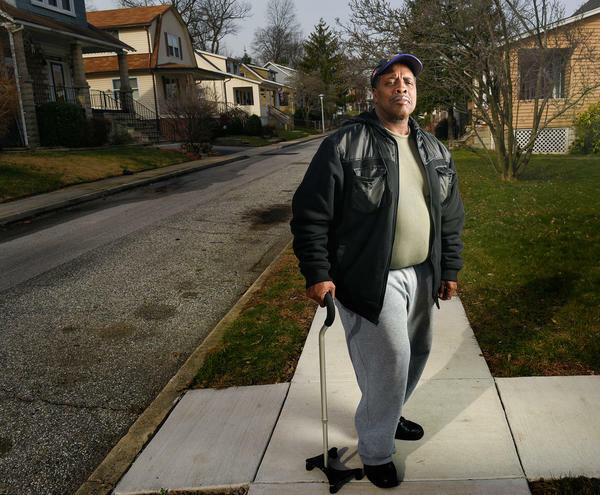 What happened after a 2004 car accident that broke Robert Peace's pelvis is a glaring example of what many say is the kind of medicine that has been practiced too long in West Baltimore and what many say they are working to change. "The pain would be so intense — it's like, wracking my body. I would literally sit there and shake," he said. "That's when I would know I had to go to the hospital, because I knew the infection was back." He said he required five more surgeries over a year and a half — the kind of return trips to the hospital, or readmissions, the health industry and the Affordable Care Act of 2010 are trying to reduce by promoting coordination between hospitals and community doctors. "I'm blaming it on the follow-up," said Peace, 58. "They knew the infection wasn't going away, but the only time they would really tend to it was when I was in the hospital." It's a story that's still too common in West Baltimore, said Antoine Bennett, a lifelong Sandtown resident and an elder at New Song Community Church. "We've got a joke here, but it's a serious joke," he said. "If they ain't medicating, they're amputating or operating. But what's missing is the care. Primary care." When asked about Peace's case, UMMC spokesman Michael Schwartzberg said, "Much has changed in the Maryland hospital environment" since his surgeries. Improvements include new emphasis on preventing readmissions and "significant investment" in care coordinators and other post-discharge management, he said. By many accounts, hospitals, doctors, health plans and governments in Annapolis, Maryland's capital, and Washington are making unprecedented efforts to bridge the medical divide with Sandtown and the rest of low-income Baltimore. Maryland undertook an ambitious overhaul of hospital reimbursement, made possible by the federal health law, that is supposed to back that philosophy with powerful incentives. Starting in 2014, hospitals have been assigned annual budgets for all government and private payers, instead of being paid per admission or treatment. In October Bon Secours bought a nearby church that it intends to turn into a primary care and wellness center. UMMC and Bon Secours are working with "transition coaches" from the Coordinating Center to make sure people leaving the hospitals take medicine and schedule follow-up appointments. UMMC's transition clinic serves hundreds of recently discharged patients. Dr. Samuel Ross, Bon Secours' CEO, talks about working more closely with the churches and continuing to improve the hospital's outcomes and reputation. "No, it's not solved," he said. "We need to keep doing what we're doing, and understand that some of this is a person at a time. There is no wholesale campaign or branding message that's going to cause people to say, 'You're wonderful.' "
In 2012 Maryland's legislature created "health enterprise zones" to increase the supply of primary caregivers in West Baltimore and other underserved areas. UMMC puts emergency room patients in touch with a primary care doctor if they don't have one. The Baltimore health department is pressing hospitals to collaborate on high-risk patients and is building ties with lower-income neighborhoods by hiring residents, said Dr. Leana Wen, the city's health commissioner. Baltimore's B'more for Healthy Babies program has reduced the city's African-American infant mortality rate by nearly a third since 2009, to 12.8 per thousand births. But that's still a fifth higher than the African-American rate for all of Maryland. UMMC has workshops and internships for high schoolers interested in health careers. The University of Maryland, Baltimore, got a federal grant to mentor and train West Baltimore middle schoolers to increase the number of African-Americans in health care jobs. More and more professionals echo UMB's Perman, who said a medical professional's duty to patients does not end at the hospital or clinic door. "As a profession, as an industry, we have not sufficiently appreciated, let alone done something about, the impact of social determinants" such as poverty, poor housing, lack of food choices and low education, he said. "Guys like me and gals like me can easily say, 'I made the correct diagnosis. I wrote a proper prescription. I'm done.' What I say to my students is, if you think you're done — if 'done' means the patient is going to get better — you're fooling yourself." In the face of wider primary care shortages and the difficulty for doctors to make a living in low-income neighborhoods, the zone fell far short of its original goal of adding 48 primary care professionals to West Baltimore. "Some of the goals and objectives across almost all of the zones were a bit ambitious," said Maura Dwyer, a senior policy advisor for the Maryland Department of Health and Mental Hygiene. In 2014 People's Community Health Center closed three nonprofit clinics for low-income patients in Baltimore and later entered bankruptcy proceedings, demonstrating the difficulty. Officials at Total Health Care, a federally supported nonprofit with several primary care clinics near Sandtown, say they are proud of their service to West Baltimore. "We want to bring the standard health in this neighborhood up to national standards," Dr. Marcia Cort, Total's chief medical officer, told students from the Merrill College. "We don't want it to be the neighborhood and area [where] life expectancy is low and people are dying from preventable things." 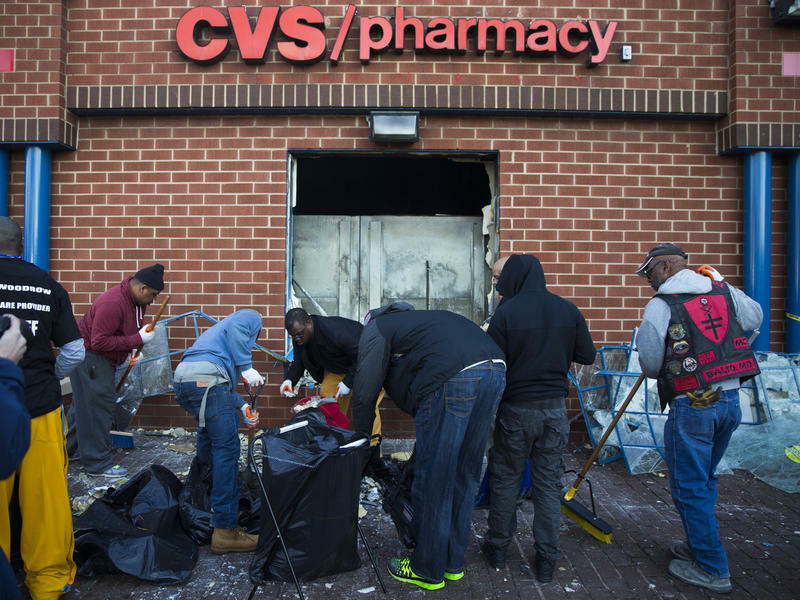 Still, she said, "Baltimore City is in a health crisis." Readmission rates for Bon Secours were still the highest in the state in 2014, although the Coordinating Center's transition coaches helped reduce them by 14 percent from the year before. In 2014 only 37 percent of surveyed Bon Secours patients "strongly agreed" that they understood their care after they left the hospital. Many resent that it took this long for the industry to try the very solutions — improving primary care, giving communities resources to help themselves — that residents of neighborhoods like Sandtown have been advocating for years. "Unfortunately the hospitals didn't hear us," said Diane Bell-McKoy, CEO of Associated Black Charities, a Maryland nonprofit. "As a person of color giving that information — most people think we don't know what we're talking about." "It's a culture that has come about over time, because younger people have seen or feel like their parents and their grandparents didn't get the best medical treatment when they went to the hospital," said First Mount Calvary's DeWitt. "So they have this why-go attitude." Other initiatives do little to address the low incomes and unemployment linked to Sandtown's poor health. Nor do they simplify the shifting maze of private and government insurance plans and hospital and doctor networks that patients must navigate to get care. One example: Nearly 2,000 low-income Medicaid members, including many in Sandtown and nearby, had to change coverage in August or get new doctors because insurer UnitedHealthcare dropped University of Maryland Faculty Physicians from its Medicaid network in a contract dispute, said Shannon McMahon, deputy secretary of the Maryland Department of Health and Mental Hygiene. United "had thorough continuity of care measures in place before the contract ended to ensure ongoing care was not disrupted," said company spokesman Ben Goldstein. For many residents, enrolling in a plan is too complicated and time-consuming, requiring time off from work to get coverage they don't understand and can't afford, said LIGHT Health's Rock. In some ways the health law and its new coverage rules have made things more complex, she said. "As the landscape is changing, people really just don't know what to do," she said. "They sit you down with somebody that's supposed to help you fill [an insurance application] out, which is like a Charlie Brown episode. Once you start on the second page it's like 'Wah, wah, wah.' You don't hear nothing else. You walk out and it's like, 'What happened?' "
An estimated 133,000 eligible but uninsured Marylanders still hadn't signed up for Medicaid as of October. As of early February, Eddie Reaves, the man with diabetes who gave up applying after his second attempt, was still among them. This story is part of a reporting partnership between Kaiser Health News and University of Maryland College Park's Philip Merrill College of Journalism, which operates Capital News Service. Kaiser's Jay Hancock and students from the school are examining how Baltimore's respected health system serves the community where violence flared in April after Freddie Gray was fatally injured in police custody. To see all the students' work go to the CNS website. On Tuesday evenings, the hush of the Lucile H. Bluford Library on Kansas City's east side is transformed by the boom of Hip Hop and R&B. The center's small conference room is filled with about 40 people—mostly middle-aged women, and a few men, all wearing spandex and sneakers. Fitness instructor Nicki Jones stands at the front of the room, braids pulled back and wearing a sports blazer. She shouts over the music to lead the crowd through a set of squats, bicep curls and lunges. For Rev. Donna Allen’s congregation in Oakland, California, the New Revelation Community Church is a place to share with other African-Americans and to find support when facing life’s small and big crises. And for Allen, one of the most important messages is that their community has too often ignored the scourge of mental illness.